Kirsty Wertz (nee Reid): A New Hobby. 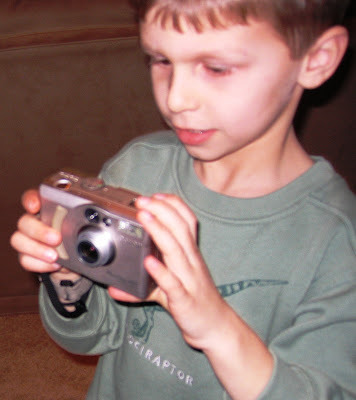 Kyle discovers digital photography with our old camera. A couple days later, it's confiscated and he's not allowed to use it for a full month!